Considering buying a condo for the first time? Here we outline the pros and cons of owning a condo, offer tips for the first-time condo buyer and provide average condo insurance rates for the largest city in every state, so you can anticipate the cost when calculating your budget. If you love the idea of owning your own place -- but loathe the thought of keeping up the yard and maintaining the exterior -- a condominium might be the perfect place to call home sweet home. A condo offers you the chance to own your own place while sharing the burden of insurance and maintenance with other owners. You also get to enjoy many amenities. "It's not only a type of ownership, it's a lifestyle," says Linda Page, National Association of Realtors 2018 regional vice president. However, owning a condo also has a few drawbacks that might be deal-breakers for some owners. First-time homebuyers. A condo can be the perfect entry point for people who are buying their first home. "It gives them a sense of what owning a home is like, and gives them an opportunity to build equity," Page says. Young professionals. Busy people who don't want to be forced to keep up their property often enjoy condo life. "The condos appeal more to the young people who are able to turn the key and go to the mountains for the week," Page says. Empty-nesters and retirees. Page says condos make sense for people who want to travel, such as those who live in the Northeast and want to spend the winter in Florida without having to "worry about who is going to plow." One of the biggest advantages of owning a condominium is that much of the maintenance falls to someone else. From keeping the roof and exterior in good shape to mowing the lawn and trimming the hedges, the condominium association typically takes care of day-to-day affairs. Condos are often more affordable than single-family homes, Page says. This fact makes them particularly attractive in places where home prices are soaring out of the reach of many buyers. Living in a condominium typically gives you access to amenities such as a pool, tennis courts and party rooms. Owning a condo also can make you feel more a part of a community, and less isolated than you might feel in a single-family home. Finally, some condominium communities feature a doorman, gated entry or other security measures. "They tend to be very safe neighborhoods to live in," Page says. Condominium living also comes with some drawbacks. For starters, rules can be strict. There may be limitations on the size, number and type of pets you are allowed to keep. Some communities prevent you from renting out your unit while you are away from it. "There are rules that have to be followed, and those restrictions aren't for everybody," Page says. Also, you will not have much -- if any -- say about things such as the exterior appearance of your unit and how the money from your condo dues is spent. You also will be limited in terms of outdoor space. "You are not allowed to do your own landscaping, you are not allowed to plant a vegetable garden," Page says. If the condo board decides to make expensive repairs or upgrades to the community, you might have to pay a special assessment to help fund the project. Other nagging issues -- such as lack of parking spaces or noisy neighbors -- also can be a turnoff for condo owners. "You have to look into your soul and decide if it's right for you," Page says. Condo association fees are also part of owning a condo, and may be considered a drawback to some. These fees are charged by the condo association to fund maintenance of common areas, for instance lobbies and lawns, and to pay for shared services and amenities, such as security, trash removal and gym and pool upkeep. These fees can significantly increase your housing expense, so it’s wise to account for them in your budget. Insuring a condo is different than insuring a single-family home. 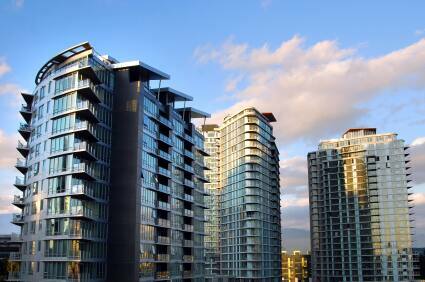 In most condo communities, you are only required to insure your unit's interior. Everything exterior falls under the condominium's master policy, and the cost usually is included as part of your monthly association dues. If you are confused about what to insure - and for how much - seek out expert help. "A good Realtor will explain to you how the insurance on your condo works," Page says. Talking to an insurance agent also can be helpful. Page notes that a standard insurance policy often does not cover upgrades. Instead, "it will restore your condo to what the original prospectus says," she says. So, if the condo unit came with inexpensive cabinets and you replaced them with something costlier, make sure call your insurance agent. "You want to make sure your insurance for the interior of your unit has taken into consideration that upgrade," she says. While insuring a condo is typically less expensive than insuring a single-family home, the cost of these policies varies greatly from city to city. For example, New Orleans, Detroit and Jacksonville, Florida condos cost about $1,000 a year to cover, while the same policy in Des Moines, Burlington, Vermont and Fargo costs about $200. In the chart below you’ll see the average yearly condo insurance rate for the largest city in each state, as shown by Insurance.com’s rate data analysis. Rates are based on $60,000 in personal property coverage, with a $1,000 deductible, and $300,000 in liability protection – the limits of a typical policy. The overall national average for that coverage level is $389 -- enter your state in the search field to see how your city compares and to see what you can expect to pay in your area. You can also use our average condo insurance rates tool for more customized results, as it provides rates by ZIP code for 75 different coverage levels. Enter your state in the search field to see the largest city rate. Insurance.com commissioned Quadrant Information Services to field condo insurance rates from up to six insurers in nearly every ZIP code of the country for 75 different coverage levels. We averaged the rates for the largest city in each state. The largest city in each state was determined by using U.S. Census population data.